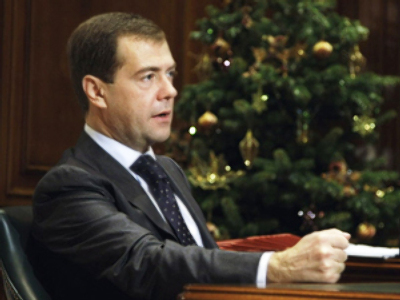 Suspected terrorists, spies and coup plotters in Russia will no longer have the right to trial by jury according to a new law signed by President Dmitry Medvedev. The new law rules out jury trials for anyone accused of being involved in hostage taking or the organisation of mass riots and those cases will be overseen by a panel of three judges in a federal court. The State Duma passed the bill on December 12, 2008 and the Federation Council approved it on December 17, 2008. According to the bill, a person charged with terrorism can get from 15 to 20 years, or even life imprisonment. The bill adds new elements to Criminal Code articles describing hostage-taking and sabotage, such as “willfully inflicting death to a person and bringing considerable material damage or other serious consequences,” reported the Russian Presidential Press Service.